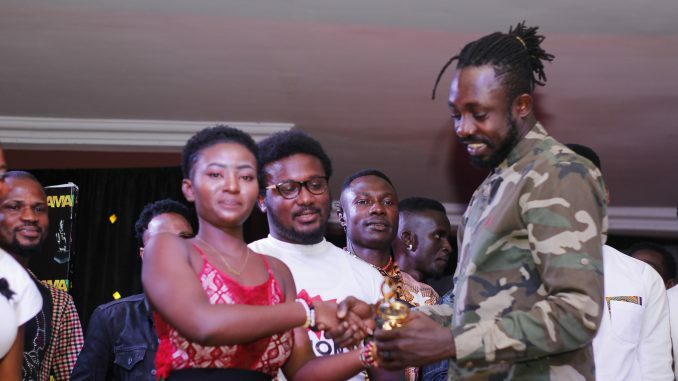 The Organisers of Brong Ahafo Music Awards, J Black Code Events, have shot down false reports going viral that Joyce Blessing won the Artiste of Year at the maiden edition of the awards. They clarified that Bono rapper, Kooko, was crowned as the Artiste of the Year at a ceremony which took place at the Tyco City Hotel Auditorium in Sunyani on Friday, September 21, 2018, so any other misleading information must be treated with the contempt it deserves. 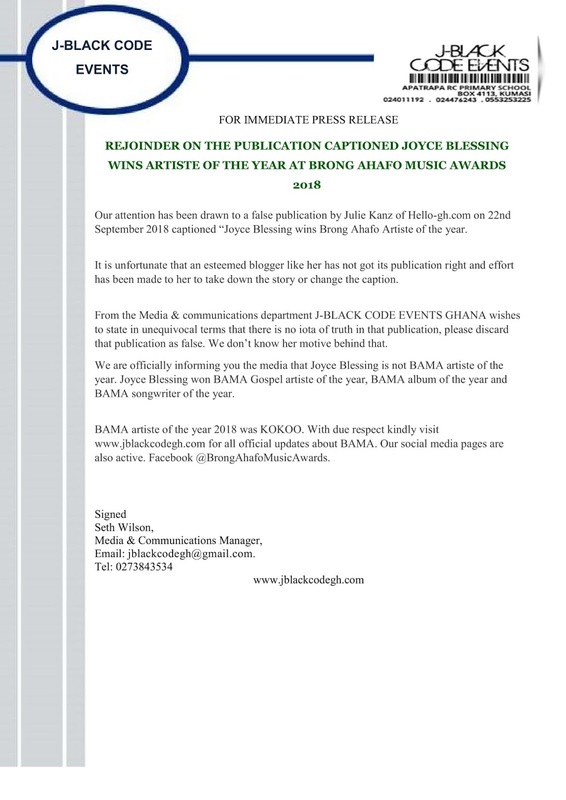 In a statement copied to Newshuntermag.com, the Media and Communications Manager for J Black Code Events, Seth Wilson, revealed that Joyce Blessing rather won BAMA Gospel Artiste of the Year, BAMA Album of the Year and BAMA Songwriter of the Year. September 2018 captioned “Joyce Blessing wins Brong Ahafo Artiste of the year. has been made to her to take down the story or change the caption. that publication as false. We don’t know her motive behind that. BAMA songwriter of the year.